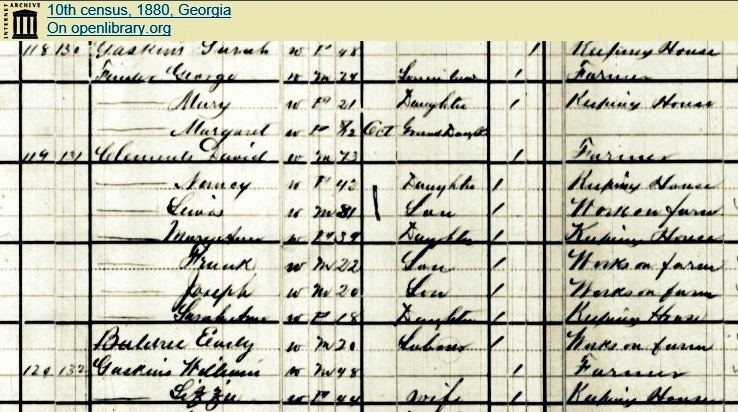 According to Nell Patten Roquemore’s Roots, Rocks, and Recollections, Elizabeth Register was a daughter of Samuel Register, of Registerville, GA (now Stockton, GA). 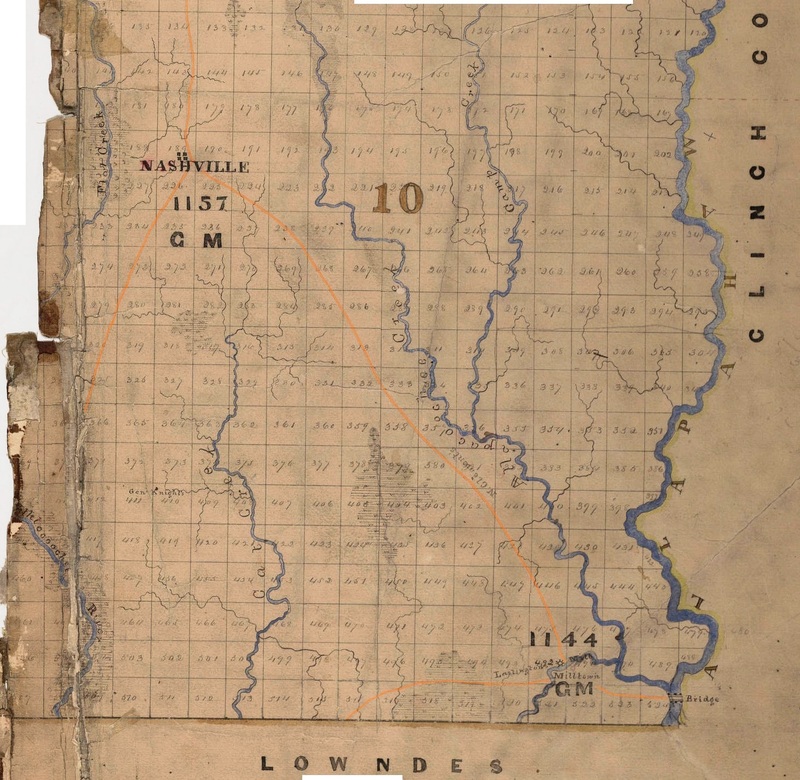 On May 4, 1845, she married William Patten, son of James and Elizabeth Patten who were pioneer settlers of present day Lanier County (then Lowndes County). 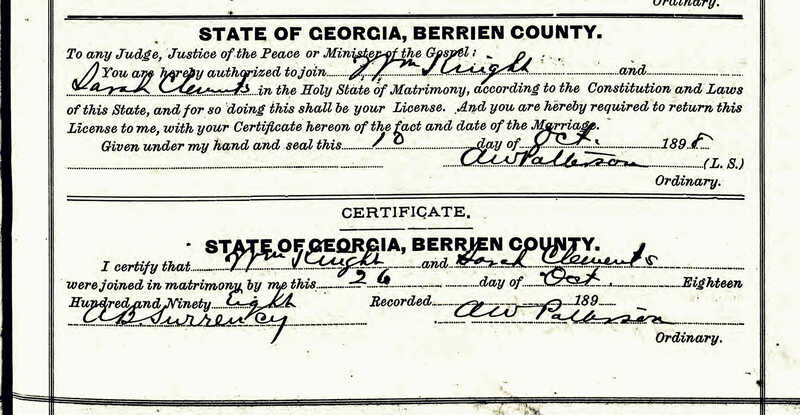 The bride was 17-years-old and the 25-year-old groom was a Justice of the Peace in Lowndes County. The couple made their home near Ten Mile Creek in the area later known as Watson Grade. In 1854, William Patten was a constituting member of Empire Church in that section. 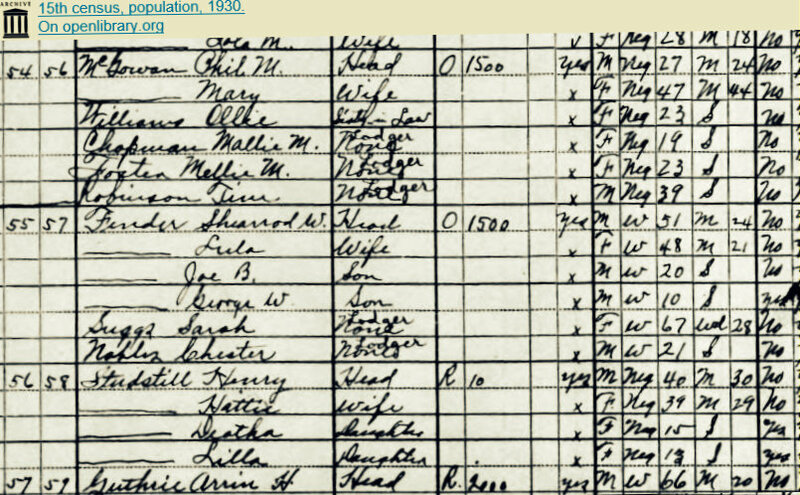 For 72 years Mr. & Mrs. William Patten together raised crops, livestock, children, grandchildren and great grandchildren until William’s death in 1907. 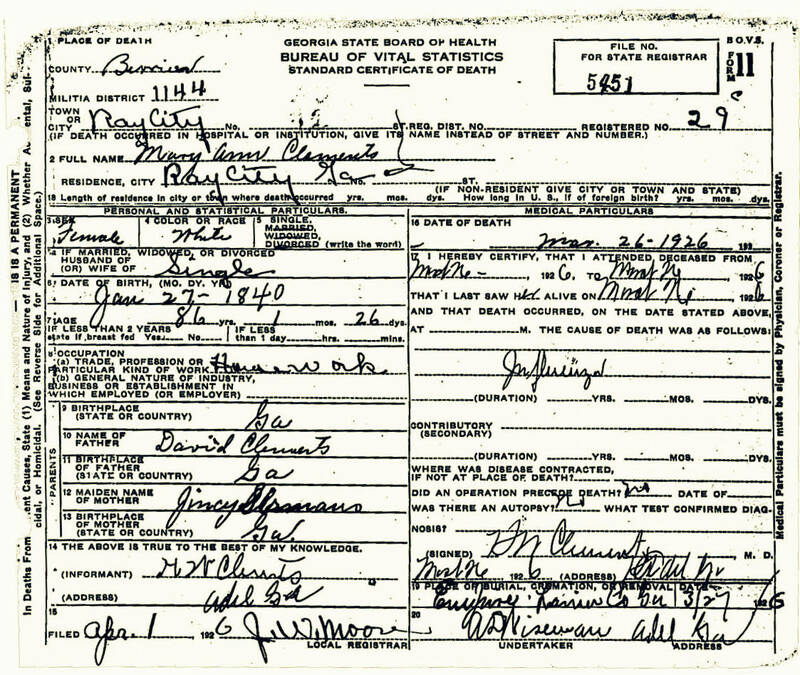 It was March 2, 1916 that Marcus Sheridan Patten and his wife, Mittie C. Walker, received word that his mother was on her deathbed in Ray City, GA.
Mr. and Mrs. M. S. Patten left this morning for Ray City, where they were called to the bedside of Mr. Patten’s mother, who is very ill.
Mrs. Elizabeth Patten died March 2, 1916 at the home of her daughter Mary J. “Mollie” Patten Webb. 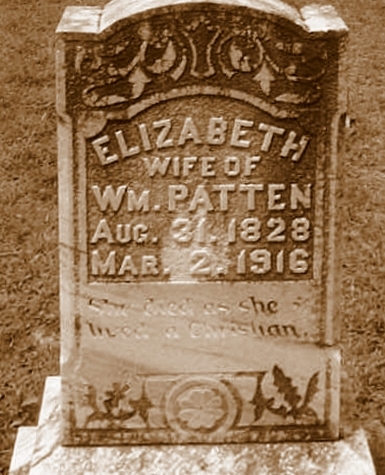 Mrs. Elizabeth Patten, mother of Hon. 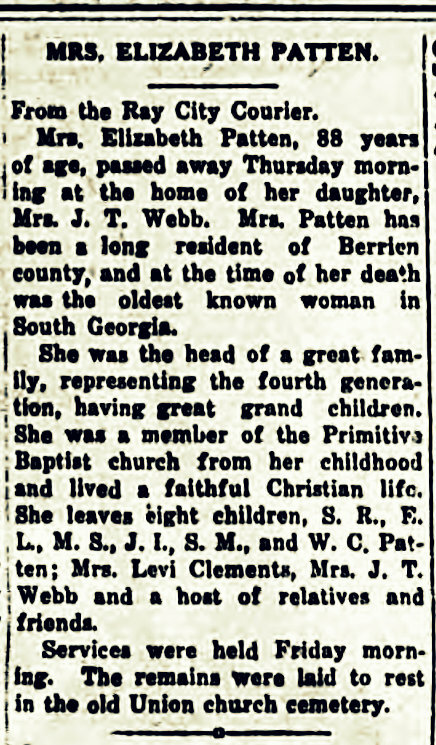 M. S. Patten, of Tifton, died at the home of her daughter, Mrs. J. T. Webb, at Ray City, in Berrien county, Thursday morning at 4 o’clock. 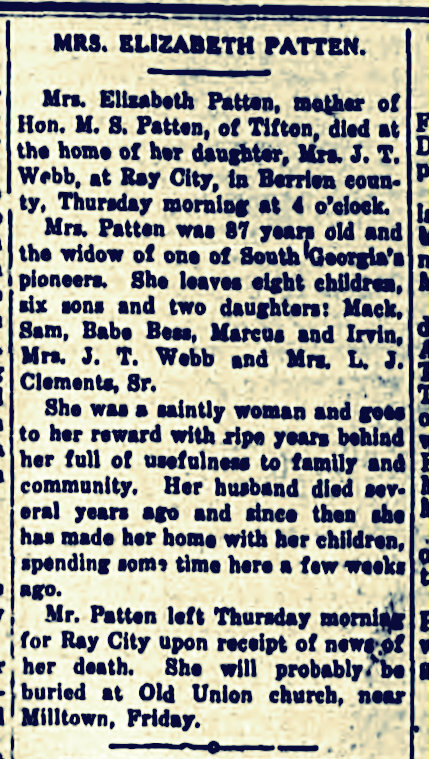 Mrs. Patten was 87 years old and the widow of one of South Georgia’s pioneers. 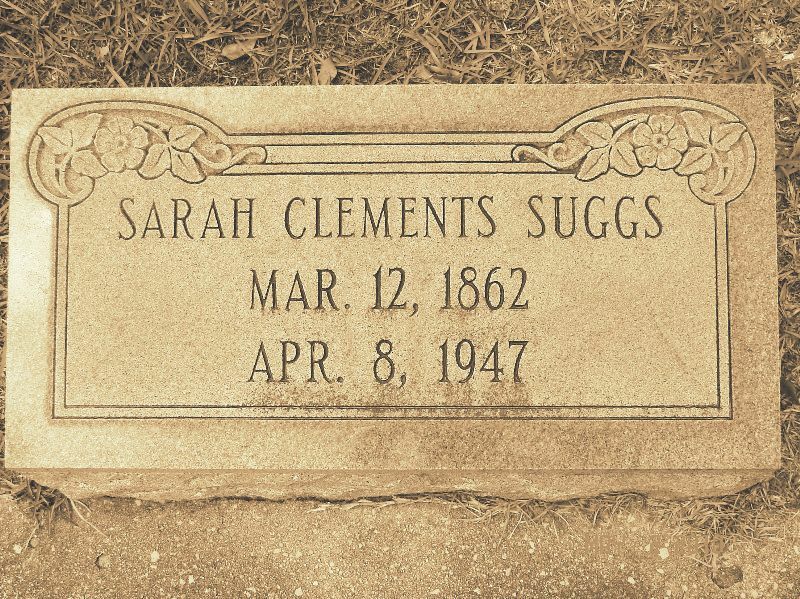 She leaves eight children, six sons and two daughters; Mack Sam, Babe Bess, Marcus and Irvin, Mrs. J. T. Webb, and Mrs. L. J. Clements, Sr.
She was a saintly woman and goes to her reward with ripe years behind her full of usefulness to family and community. Her husband died several years ago and since then she has made her home with her children, spending some time here [Tifton] a few weeks ago. 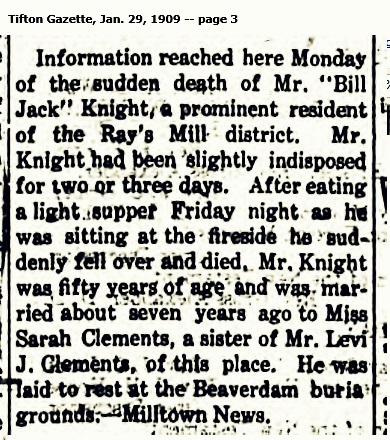 Mr. Patten left Thursday morning for Ray City upon receipt of news of her death. She will probably be buried at Old Union church, near Milltown, Friday. From the Ray City Courier. Mrs. Elizabeth Patten, 88 years of age, passed away Thursday morning at the home of her daughter, Mrs. J. T. Webb. 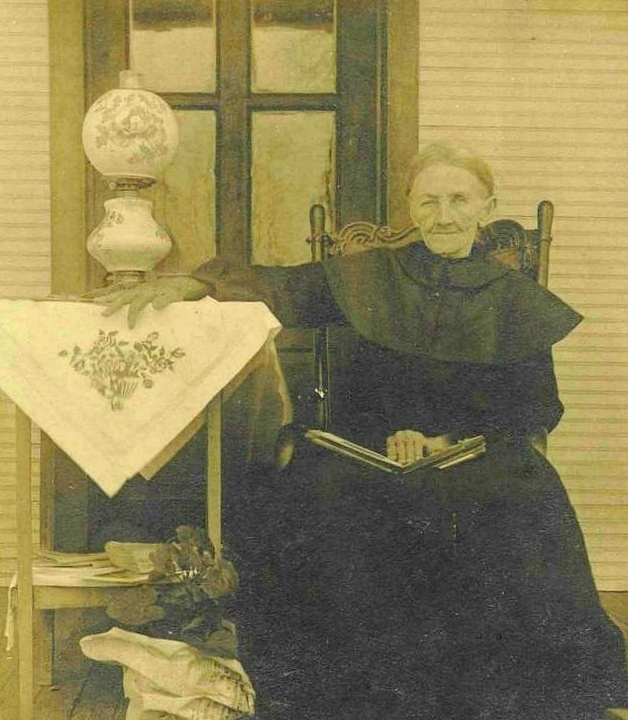 Mrs. Patten has been a long resident of Berrien county, and at the time of her death was the oldest known woman in South Georgia. She was the head of a great family, representing the fourth generation, having great grand children. She was a member of the Primitive Baptist church from her childhood and lived a faithful Christian life. 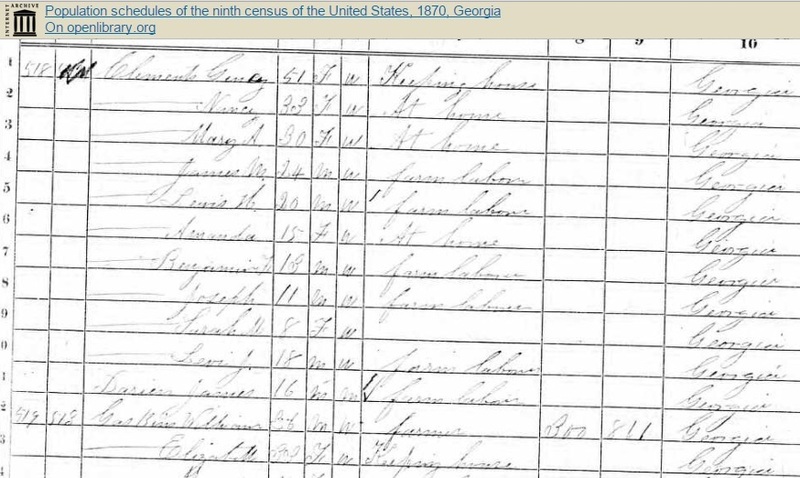 She leaves eight children, S.R., E.L., M.S., J.I., S.M., and W. C. Patten; Mrs. Levi Clements, Mrs. J.T. Webb and a host of relatives and friends. Services were held Friday morning. The remains were laid to rest in the old Union church cemetery. 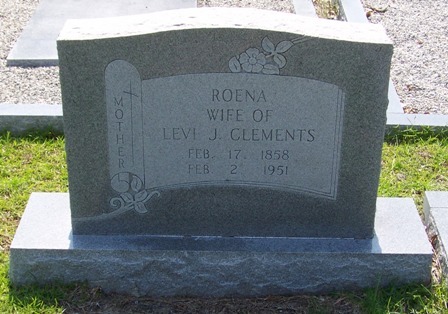 In the 1920s, Levi J. Clements and wife Roena (or Rowena) had moved to a house on North Street in Ray City, GA, probably to be closer to the Clements sawmill. The mill was located between North Street and the tracks of the Georgia and Florida Railroad. 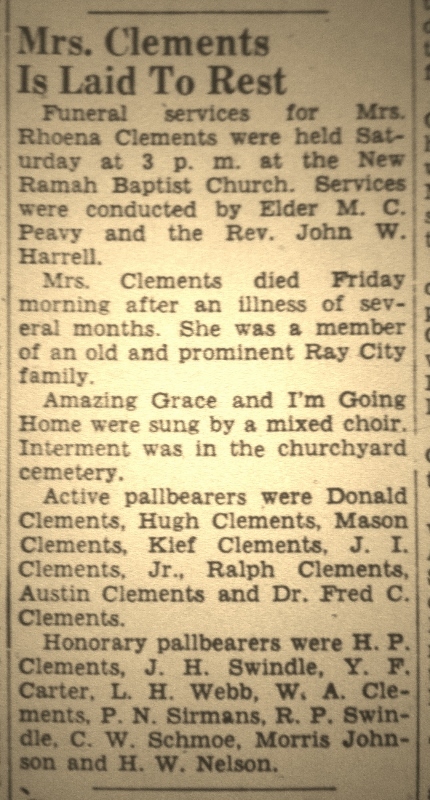 The Clements were surrounded by their family. 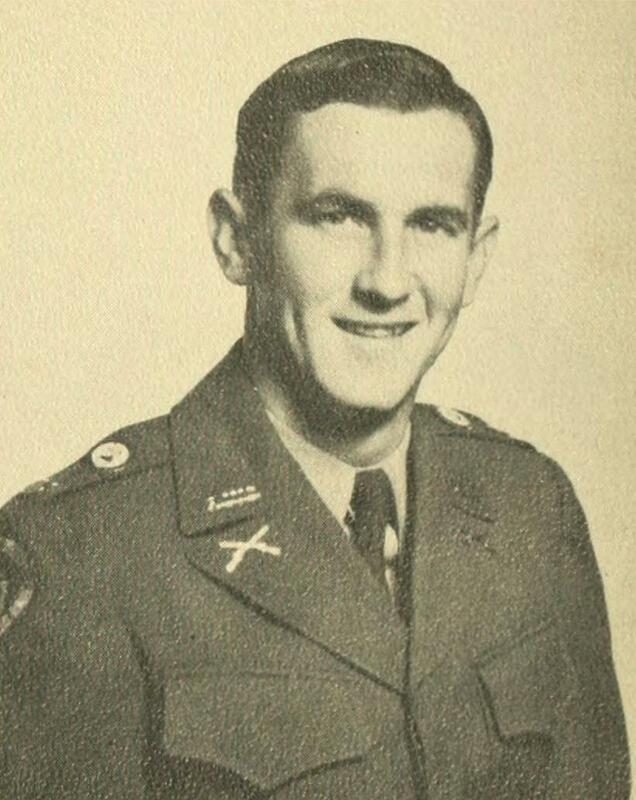 Their son, Dr. Henry Clements, had the home next door, and on the other side was the home of their son Lucius, who was General Manager at the sawmill. Irwin Clements and his wife, Annie, and Joe Clements and his family (wife Effie, and daughter Camille) lived with Levi and Rowena. Irwin Clements was a manager at the mill, and Joe was treasurer. Levi’s grandson, Leland Gaskins, lived in the big house as well. 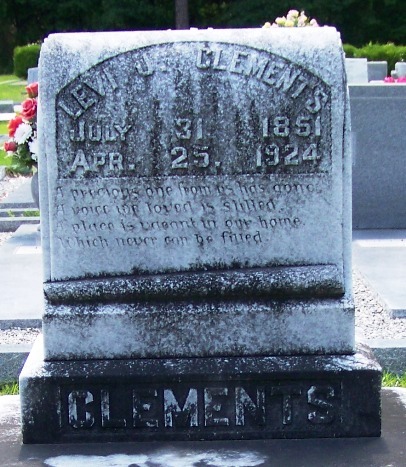 Mr. Clements died April 25, 1924. He and his wife are buried in New Ramah Primitive Baptist cemetery.